Published on 13 September 2011. This ad has been here for years, and always bemuses me. 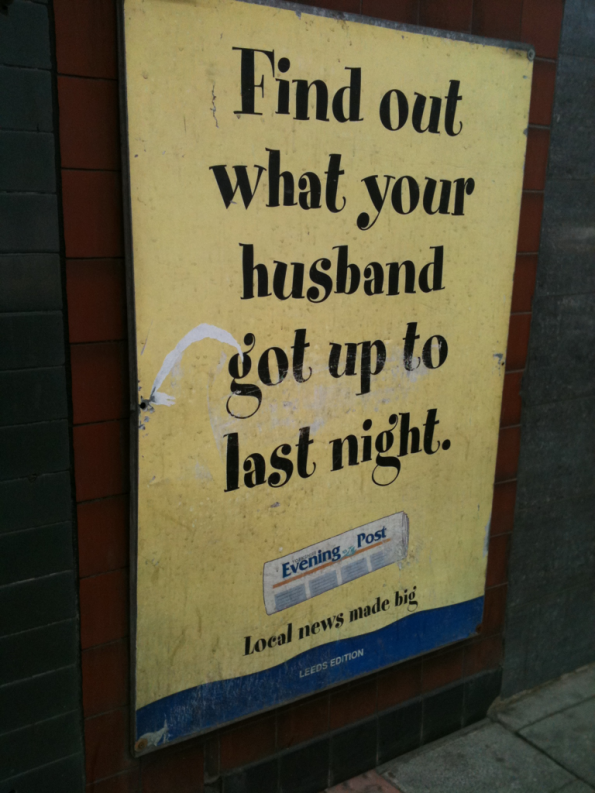 Why advertise a Leeds newspaper in Newcastle? Why would a newspaper report on private individuals’ nefarious activities? I’m sure there’s some (probably football related) subtext that completely passes me by. This 1,445th post was filed under: Photos, Advertising, Leeds, Newcastle-upon-Tyne, Yorkshire Evening Post.